Seating charts are an essential part of a wedding reception, letting your guests know just where they’re supposed to sit. 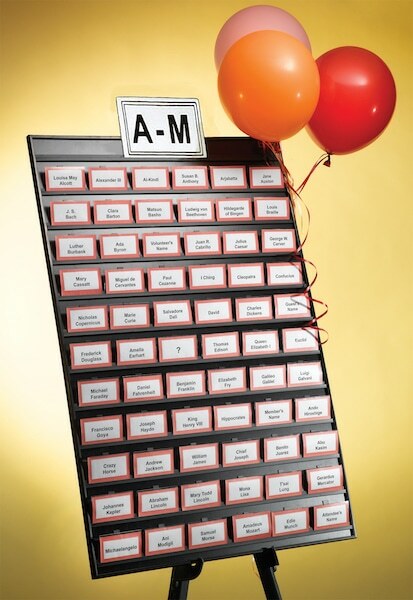 A good seating chart is simple and easy to follow, preventing mass chaos and a huge headache. But who said seating charts had to be boring? Here are 5 creative wedding seating chart ideas to consider for your wedding. Paper cranes are considered to be a symbol of hope and prosperity in Japan. Known to mate for life, it’s a popular addition to weddings. There’s also a tradition of folding 1,000 paper cranes. You can incorporate these beautiful origami birds into your wedding by using them as a way to organize your seating chart. You’ll just want to give yourself plenty of time to get it done (or get your friends involved in for more fun). Whether you’re having a spring themed wedding, or you just really love the outdoors, a botanical seating chart can add some real charm to your day while directing guests to their seats. Plant place cards in small moss-covered pots or pots with different types of herbs. Once your reception is over, the planters will make great parting gifts to give away to your friends and family. 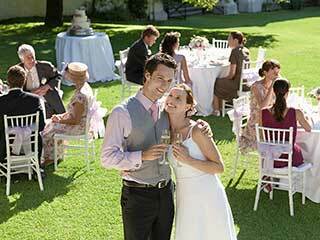 Travel themed weddings are growing in popularity. There are many ways to incorporate your love of traveling, including using luggage tags to direct guests to their seats. You can create or find seating cards styled like luggage tags for tables representing different airports from around the world. One creative way to do this is to put place the cards inside of a vintage suitcase, which can help to tie your theme together. 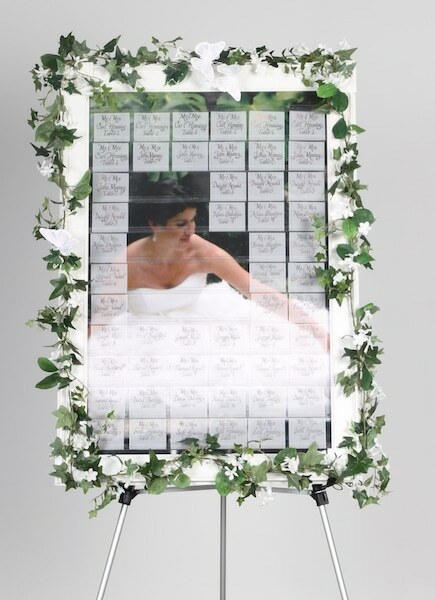 Window frames are a great seating chart option for those planning a more rustic style wedding. It’s also a great DIY project that’s really easy to do. You can find an antique divided window frame with multiple panes of glass. Each section can represent a table. 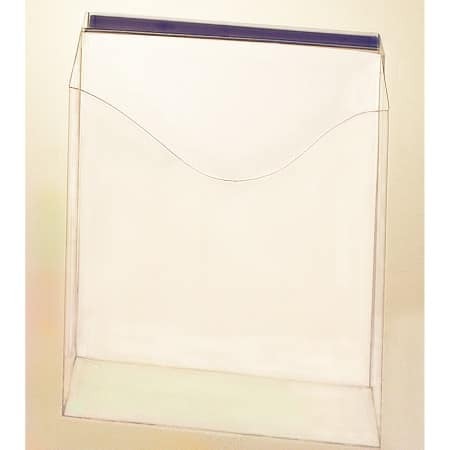 If necessary, replacing the old glass with plexiglass can be helpful. Paint markers (grease markers or oil-based sharpies work too!) 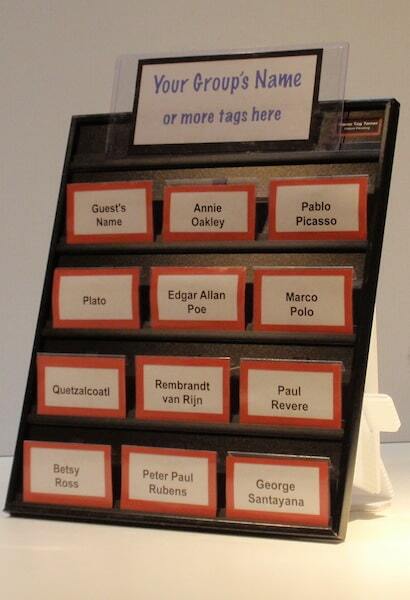 can then be used to write down where each of your guests are supposed to sit. It may look simple, but it can really add some charm to your reception. These creative wedding seating chart ideas can make your day. 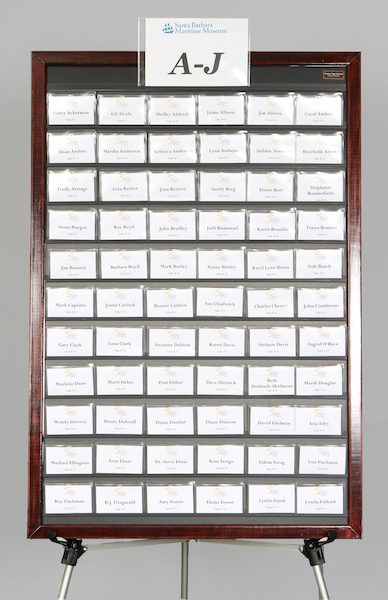 The Celebration Seating Board (also known as the Celebration Board) is a stylish way to make guests feel like true VIPs at your wedding. It also helps to make the bride and groom’s day more special knowing that the guests aren’t waiting in line to get their name tags. And what about the bride’s mother? 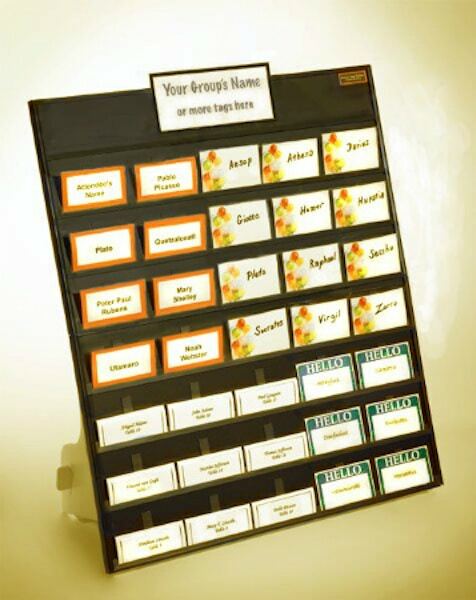 No more fuss or worry over handing out name tags with this beautifully decorated name badge organizer. You can personalize the board with your own photo, which is slowly revealed as the name badges are retrieved. 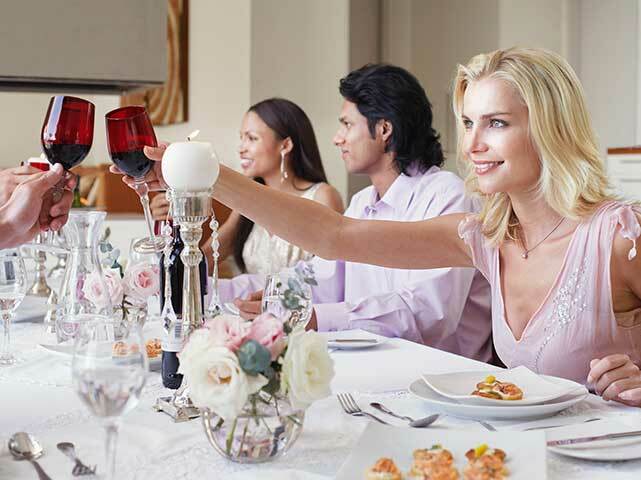 Impress your guests without the stress! These creative wedding seating chart ideas not only help your guests to easily find where they need to be, it can also add a touch of beauty to the reception itself. 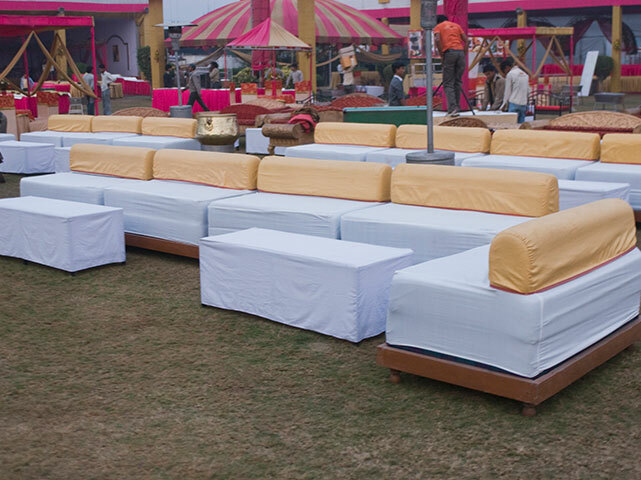 Easy Event Hosting wants to help make your reception, and the seating process, as seamless as possible, today!